Though I was 10 years old, I clearly remember when my father brought home our family’s Riva Rudy. It was the same model given to Jackie Stewart after his third Formula 1 win in 1974 and it was the cost of three Ferraris at the time! The day that boat was delivered to our summer home on the Adriatic was magical for me. Experiencing the freedom and glamour that she symbolized shaped my understanding for what it means to dream of owning one of these boats today. The superyacht industry as a whole was significantly impacted by the 2008 financial crisis, which resulted in a drop in sales for Ferretti Group. Subsequently, in January 2012, 75 percent of the Group was sold to current shareholders Weichai Group. This was a challenging time for the Group and in May 2014 I was approached to help turn it around. Having continued my yacht ownership journey throughout my adult life, it was the experience I have as an owner that helped me to instinctively see what the immediate priorities should be. I knew we needed to invest in elevating the design to allow our distinctive Italian style to lead, and I knew we needed to make daring innovations in technology and performance. With the help of our shareholders, we invested $105m in new models, producing 30 new designs in four years, helping to refresh and revive our brands. Such a large-scale change over a short period of time was a bold move, but Rome cannot be built in a day and you cannot become profitable in a year. 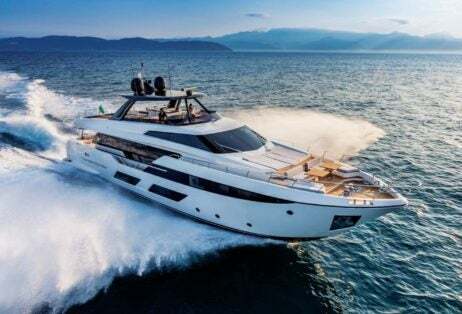 Today, 70 percent of Ferretti Group’s revenues are from models that weren’t in existence four years ago, and going forward we expect to introduce five to six models each year. In terms of developing innovations in design and new technology, two notable examples that we are proud of are the convertible top, which transforms an open vessel into a coupé in one single motion, and the revolutionary ARG (Anti-Rolling Gyro), which enhances on-board comfort through a gyroscopic device that drastically reduces rolling motion — a game changer for guests that suffer from motion sickness. This year we launched Ferretti Yachts 670 at Ferretti Yachts’ 50th Anniversary in Venice, and still to come is the Pershing 140 and the CRN M/Y Latona, among others. Looking forward to 2019, we plan to reveal several new yachts, including the groundbreaking Riva 50m — the first yacht in the new Riva Superyachts Division and the flagship of the Riva range. 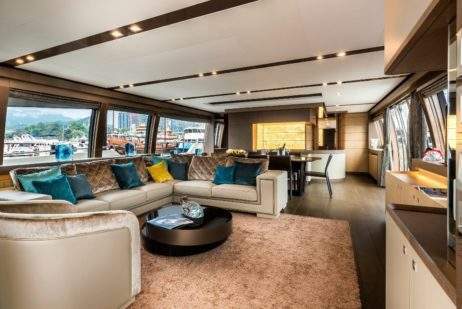 Reminiscent of classic Carlo Riva motor yachts and inspired by the Carvelle line from the 1960s and 70s, it puts a modern spin on this classic gentleman’s motor yacht. One of my favorite parts of my job is spending time with our owners. A remarkable thing I discovered by listening to them is that they spend a considerable amount of time aboard their yachts than a typical yacht owner. Many travel for extended periods, with some owners even choosing to live onboard for months at a time. Therefore, considering functionality, livability and reliability has become paramount in our design process. We now think of our yachts as floating villas and as such our new layouts, amenities and styling are geared towards making the yachts function more like homes on the sea. In the past, builders used cabinetry and furniture that was built into the boat and designed purely for use onboard. Now, we are using furniture that you can buy for your house and this enables us to reflect an owner’s home in the aesthetic onboard. We also use large windows offering unobstructed views of the landscape: this takes what was once a dark interior of a box and transforms it to an airy and light space you want to spend time in. This approach means we are able to offer our clients both outstanding form and exceptional function. 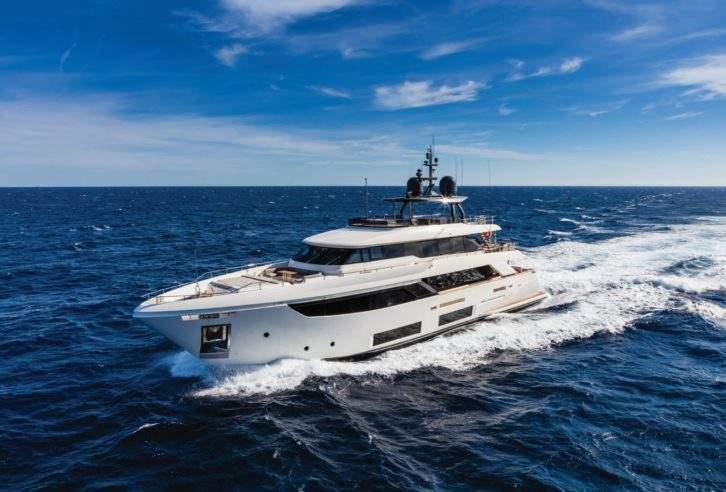 Time has driven me to different experiences — and different yachts, like the Custom Line Navetta 33 (pictured), which I also now own — but I still have that 1974 Riva Rudy that I was able to seek out and find all of these years later, buy and restore. It now sits in the Riva Museum and stands as a continued reminder of the experiences that one can have out on the water and the memories that can be made. To me, that’s what it’s all about. When it comes to boats, she will always be my dream come true.